Imagine you work for a big organisation. In an office. You have a desk and a chair and everyday you turn up and sit, and wait. But nothing ever happens. You begin to suspect that the department has been here so long that the Organisation has forgotten it exists. To The Department of Curiosities and Fine Things. Where innovation is celebrated and the imagination set free. Today is the opening day for this brand new retail venture in Napier, Hawkes Bay. Brought together in just 2 short weeks by a business partnership of 5 makers (4 of them New Zealand Handmaders) - Andy Heyward (Fat Spatula), Nicola Coulter (Coulter and Coulter), Peter Coulter (Reclectica), Michelle Ransom (Circo), and Mel Stothers (Wildflower Designs). 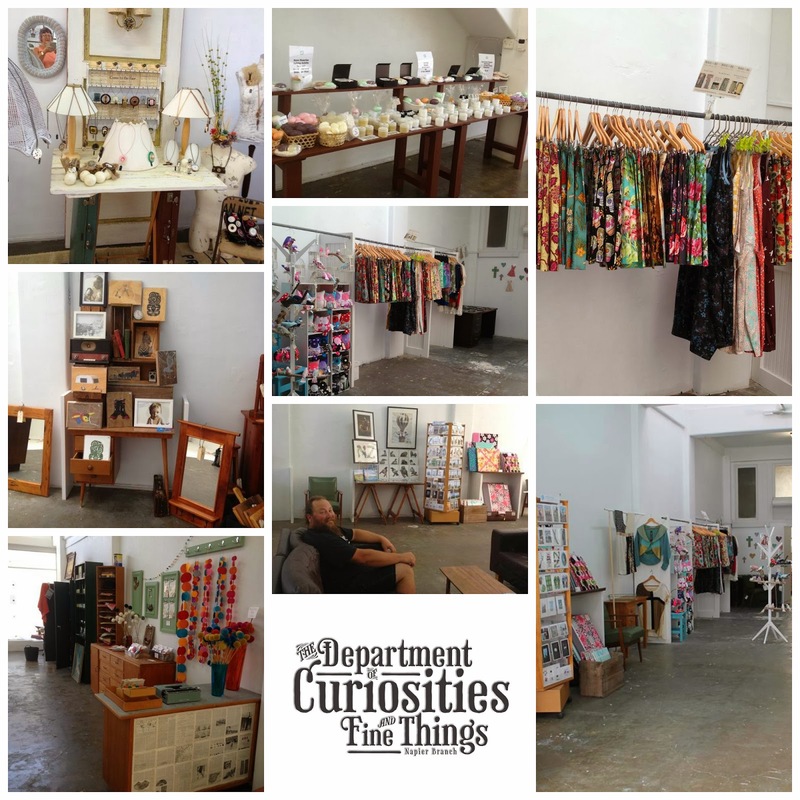 The Department of Curiosities and Fine Things promises to be a truly different experience for shoppers - themed throughout in a 'times past' government office department-overtaken-by-creative-wonderfulness style. There are over 20 individual makers and creators' products on display. Come find us at 14 Hastings Street, Napier (opposite the Cathedral), open Monday-Saturday 10am-4pm. How wonderful. All the best with your new venture. This is so very exciting! I wish I could visit in person. Keep us up to date with all your success! I can't wait to come in for a gander!